Our congregation, a merger between Our Saviour and First Lutheran Church of Oakland, evolves each day. As a member church of the Sierra Pacific Synod of California of the Evangelical Lutheran Churches of America, our United’s history extends more than 125 years in the Bay Area. 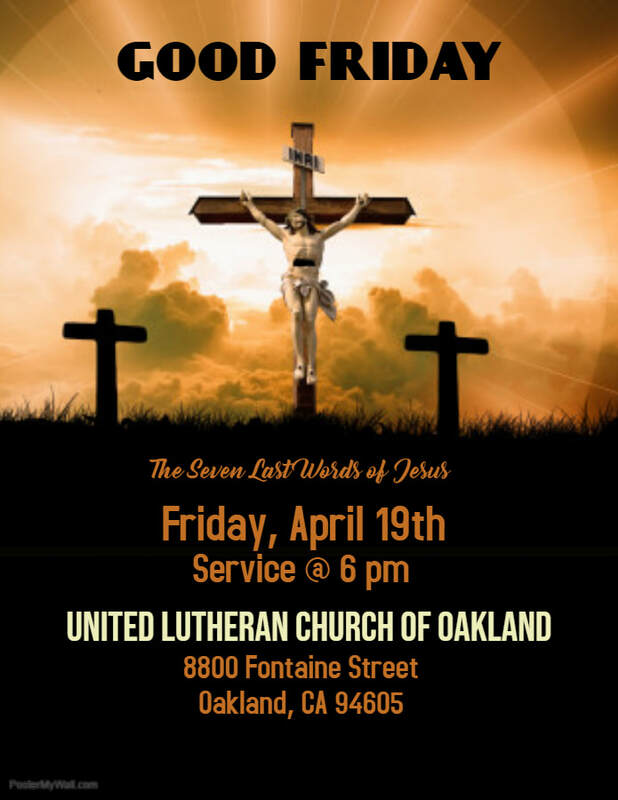 As an active member of the East Bay Lutheran Parishes Ministry, which is a collective of five Evangelical Lutheran Churches serving the Oakland - Alameda communities, we are more than the sum of our parts. We believe that Giving Is Receiving and we stand among giants of good will and courage. Thanks to the forward thinking of so many former and active members, we support numerous social justice causes. We are proud to provide ongoing support to the preschool of Children’s Rafiki Education Foundation (CREF) in Mwika, Tanzania under the leadership of James Mmbando for nearly 10 years. To find out how you can get involved in this and other Africa-based programs and local Alameda County causes that we support, please refer to the Giving Is Receiving section of this website.